Nnamdi Kanu’s lawyer has sued the Nigerian Army asking the latter to produce his client in court. Ifeanyi Ejiofor, in an application filed at the Federal High Court, Abuja, asked the court to compel the army to produce Mr. Kanu, leader of the pro-Biafra separatist group, IPOB, in court. 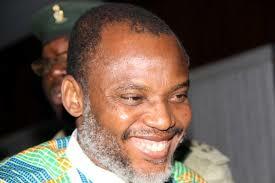 The Army has not admitted it has Mr. Kanu in its custody, neither has any security agency. The IPOB leader was last seen on September 14 when clashes occurred between members of his group and soldiers on an army exercise in Abia State. Mr. Ejiofor accused the Army of invading the residence of Mr. Kanu in Abia State and shooting at various objects and people in the house. Mr. Kanu, who is currently facing trial for alleged treason, was last seen after the clash at his community in Abia State. Mr. Kanu’s trial is still ongoing, although he was granted bail in April on health grounds, with 12 main conditions, most of which the Nigerian government has accused him of flouting. The trial is expected to continue on October 17. On September 14, after the clash between IPOB and soldiers, Mr. Ejiofor alleged an invasion of his client’s home by officers of the Nigerian Army, saying that over 20 people were killed by the army with several others wounded. Mr. Ejiofor has not provided the names of those allegedly killed or wounded during the reported raid. PREMIUM TIMES could not also independently verify the claim. “The situation is serious. My client’s whereabouts has remained unknown. His entire house has been shattered with bullets and missiles,” Mr. Ejiofor had told PREMIUM TIMES. None of Nigeria’s security operatives have confirmed knowledge of Mr. Kanu’s location or whereabouts since September 14. The Nigeria Police has said it is not aware of any arrest of the IPOB leader by security operatives. The spokesperson for the Abia State Police Command, Geoffrey Ogbonna, on Tuesday evening said he is not aware if Mr. Kanu has been arrested by security operatives. ”I have no idea about any arrest of Nnamdi Kanu by any security operatives,” Mr. Ogbonna said in a telephone conversation with PREMIUM TIMES. The Army also refused to comment on whether it is holding the IPOB leader in its custody. Army spokesperson, Sani Usman, refused to answer calls put through to his line by the reporter. Similarly, calls and text messages forwarded to the Deputy Director, Public Relations, 82 Division of the Army, Sagir Musa, were neither picked nor responded to. Before Mr. Ejiofor alleged that Mr. Kanu was abducted, a letter reportedly written by Mr. Kanu quoted the IPOB leader as saying that he could not attend a meeting scheduled to hold on September 19, with leaders from the South-east geopolitical zone. The letter published by Punch newspapers also quoted Mr. Kanu’s brother, Emanuel Kanu, as saying that only his brother (Nnamdi Kanu) could disclose his whereabouts. But in a telephone interview with PREMIUM TIMES on Tuesday, Mr. Kanu’s younger brother, Emanuel said his elder brother never wrote the reported letter. “I can tell you that ever since that invasion, we have not seen my brother. What happened is that the army came to my house, ‘killed many’ and took away all the others that were alive. If Nnamdi Kanu is alive, they should tell us and quietly hand him over to the police, let them produce him. 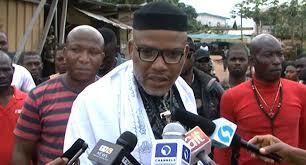 Nnamdi Kanu did not write any letter,” said his younger brother. The Nigerian government recently secured a court order to declare IPOB a terrorist organisation. According to the Africa Independent Television, AIT, the proscription of IPOB was gazetted by the Nigerian government on Thursday. The labelling of IPOB, which seeks an independent country of Biafra for ethnic Igbos, as a terrorist organisation has elicited mixed reactions among Nigerians.